The New York Times recently featured a front-page article on polyamory, i.e. open marriage, with photos of people in various types of relationships. The article was sympathetic, verging on apologetics; it came across as a cultural attack on monogamy. Two things stood out for me: the brazenness of the front-page placing of the article and how the polyamorists went to great lengths to rationalize/justify their behavior. Apparently, it struck a nerve with others as well: 2000 reader responses and counting. When I thought about my students’ exposure to that cultural perniciousness, monogamy seemed desperate for an advocate. And so consider the following as notes of what I spoke about at yeshiva. First, the disclaimers: 1. 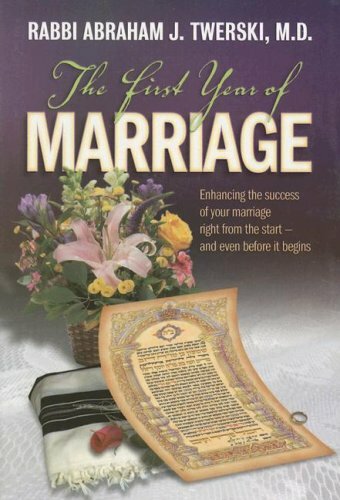 This article will not deal with the differences in halacha between polygamy for men and women. 2. It will not deal with the authority of Rebeinu Gershom to forbid polygamy. 3. It will not deal with the gender differences between men and women. 4. It will not deal with pre-marital relations. Secondly, polygamy can be quickly dispatched as a behavioral option. 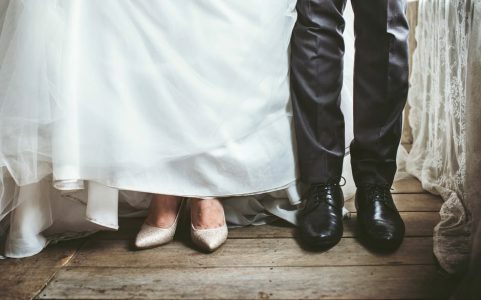 Though the Torah is seemingly uninterested in monogamy – men can have more than one wife, as we see with Avraham and Yaakov – the Avos only married more than once based on less than full choice. Avraham chose Hagar because he couldn’t have children with Sarah; Yaakov wanted only Rachel but because of Laban ended up with four wives. As well, all the Prophets, Tanaim, and 99% of the Amoraim, only had one wife. It was only kings l’chathila who chose more than one wife. According to the Sefer Hachinuch, these were marriages for political alliances. The 10th century cherem of Rebeinu Gershom forbids polygamy for Ashkenazim. And though Sefardim are still permitted by halacha to marry more than one wife, secular governance forbids it. So, practically speaking, polygamy as an option for Jewish halachic relationships is moot. Nevertheless, the more pressing subject is, why be monogamous within marriage? Sociological damage, i.e. everyone will get mad at you and stay mad at you. You risk family dissolution. Creation of dysfunction within the marriage. According to most marriage therapists, infidelity is the single most damaging act to marriage. Distraction from one’s true mission and, hence, a less successful, G-d-centered life. And, the main subject of this essay: non-monogamy as deviation from the marriage model of Adam and Chava in Chumash. See below. G-d. Question: Why did G-d need to split him into two? Just have the relationship. Answer: In the androgynous state, the gap between G-d and that man was so unbridgeable that there could be no hope of relationship. Hence, man needs a real-life metaphor to close that unbridgeable gap in order to develop a relationship with G-d.
G-d passes all the animals in front of Adam who names them and, according to the Midrash, mates with them. Through this process, Adam understands that he doesn’t have a mate. Question: Why did G-d need to do that since He understood that Adam was alone, i.e. why did man also need to know he was alone? Answer: G-d wanted to impress upon Adam his aloneness – emotionally, existentially, intellectually, and spiritually. An awareness of aloneness is the pre-condition for relationship. Man needs to know this default stance of aloneness in order to prepare to impel him toward relationship. When G-d split this androgynous man into Adam and Chava, what He was saying is, this is the best model for not being alone: one man with one woman. Not one man and one man. Not one man and two women. Not one woman and two men, et al. The best model of non-aloneness is one man and one woman. Therefore, any deviation from the one man-one woman model will veer a person toward aloneness and following the model will veer a person toward relationship. aloneness is merely situational and a definitional side of the spectrum of relationship, with aloneness on one end and relationship on the other end. Question: What then is the driver toward relationship? Answer: Ta’aveh, i.e. desire. Desire is such a primal force – vast, ubiquitous, and indiscriminate – that you can have desires for anything at all: books, food, people, ideas, etc. Hence, the question is begged: What is desire in the first place and what is G-d’s purpose in creating it? Answer: It is the force that G-d created to impel people toward relationship – to whatever that relationship may be. Which, ultimately, is the impelling force of yichud – oneness. If relationship is indeed the tachlis of creation, then the foundational forces of the world need to steer you toward that tachlis. In fact, the test of the Tree of Good and Evil was a test of desire and not a test of honor or belief or jealousy or selfishness, what have you. G-d was asking and continually asks, which relationship do you seek? Do you seek pleasure for the sake of pleasure (the snake) or pleasure undergirded by ethic (choosing Me)? When man chose to eat from the tree, he unleashed the force, within himself and upon the world, of pleasure for the sake of pleasure, that which remains prevalent and orgiastic to this day. just as there was shame in Adam’s failed choice (Adam hides), so, too there remains shame in polyamorous people, which explains why they need to justify themselves. To remain true to the original primordial model – one man and one woman – is a decision toward less aloneness. The test of Eden is the model of all tests. Desire, then, is a known, expected, stringent constant. People experience indiscriminate desires and the only way to know the difference between yeitzer hara and yeitzer tov is what the Torah defines as good and bad. Rabbi Samson Raphael Hirsch explains that the Hebrew term for the word ‘curse’ in the Chumash, ארור, is related to ארר, to be lonely, isolated. According to Hirsch, to be cursed is to be isolated and out of touch with all that which brings prosperity. We can see from Adam and Chava the emotional fallout of what aloneness really is when they are banished from the garden. There is guilt, fear, and shame that causes them to hide from the Presence of G-d. Then, in the conversation with G-d, there is blame. There is hatred between the snake and humans which, in turn, creates hatred between people. Then there is a plethora of punishments which are, according to Hirsch, various types of renunciations for both her and him: she is punished with perpetual passivity; he is punished with perpetual frustrated effort. There is physical and mental pain for her as specifically female and him as specifically male. As well, aloneness breeds aloneness: Adam separates from Chava for 130 years. Then there is aloneness as exile and aloneness in its proximity to the decree of death as its own type of death. —These are all the effects of choosing non-monogamy which, in turn, creates aloneness. In conclusion, to turn toward aloneness is to turn aside from your own happiness, whereas to turn toward relationship is to lead one toward everything the Sages describe about marriage: stability, wholeness, joy, positivity, trust, and love. Which means, in utilitarian terms, that the decision to pursue or not pursue open marriage is a risk/reward ratio. Is the thrill of non-monogamy worth the aloneness that the thrill will certainly engender? Rabbi Yosef Kaufman teaches at Machon Yaakov, Jerusalem.